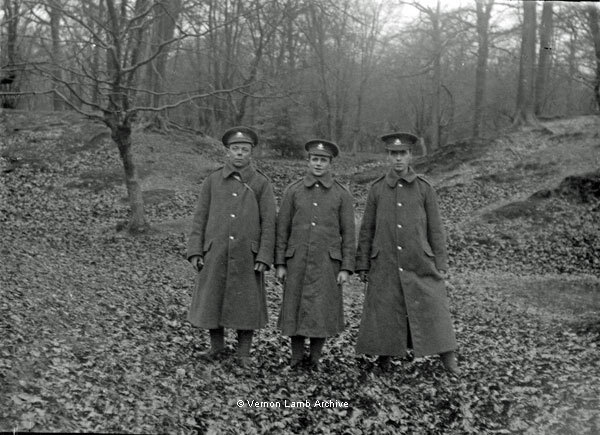 Description/Historical Information: Three soldiers wearing army greatcoats, standing in woodland. Pte. James Edgar Brocklehurst is on the left.